The final reading comes in the form of two web pages. The post is broken down into two sections titled with the websites and a final section reflecting on the readings of the year as a whole. The Venice Biennale is a world renowned biannual exhibition held in Venice. It is curated by different people each time who go on to invite people to present at the exhibition in accordance with the direction of the Creative Director. Personally I have never been to a Venice Biennale, however I would very much like to. Having looked into the Biennale a few times it is clearly a very inspirational event to attend, full of ideas and creativity in many forms. I think that looking at, and going to, events such as these is a very valuable experience to take advantage of. The sharing and expression of ideas helps to move everyone forwards and develop styles and inspirations. In particular though, I am interested in the exposure to other mediums. Taking for example one of the earlier readings from this blog which focused on Zaha Hadid, she expressed how she was influenced so much by painting and the Suprematist style of artistic expression. This is something which has resonated with me since I watched that video and has been in mind. In fact I am now using art in my current design studio project to generate and express my own architectural ideas. Exposure to other forms of creativity is invaluable. Just because something is not architecture, does not mean that it cannot influence architecture. After all, architecture is inclusive of all things, all people and all disciplines. Experiencing these other disciplines not only helps us to think outside the box and gain inspiration, it helps us to understand (and subsequently respond) to them in our work. In a similar way to how the Venice Biennale promotes an exhibition of works and creativity, MIPIM creates a gathering of leading, influential real estate professionals. These gatherings introduce people to one another with the goals of creating appropriate links between people and projects. The idea is that through MIPIM, projects can progress further and become greater. Although MIPIM is far more business orientated that the Venice Biennale, the aims are still along similar lines. I think that events like this are becoming an essential part of the architectural world. This is primarily because of the witnessed increase in contracted buildings. The role of the architect is becoming a smaller one, with more and more buildings being designed from a template of guidelines as opposed to an architects creativity and applied logic. Events such as MIPIM see the creation of collaboration. Architects can weigh in on projects and meet to discuss them with the people who are involved. This means that the developers can effortlessly see how their projects can be improved through the use of different inputs from different people. Hopefully with many, this will restore so faith in the role of the architect and show how they are a necessity for a building which is special. Over the course of this year, I have talked about many readings through this blog. It has, without doubt, been a useful experience and one which I have consistently applied to my other projects, both within this module and out of it. The readings have covered a variety of topics and produced many interesting ideas and concepts, as well as important inspirations. Whether we like it or not, architecture as a practice is changing and this is something that we need both need to fight and embrace simultaneously. The way that buildings are being produced now is seeing a decline in architectural input. I think that part of this is a lack of keeping up with the world. Architecture is a practice which feels (for the most part) stuck in its ways. We communicate through methods which have been tried and tested, they work and they work well. However the world is changing and we need to respond to that. We need to begin thinking about the wider context of the practice. I think that both examples in this most recent reading are suggestive of a broader context in regards to the events they mention. It does not necessarily matter if the subject is more focused on business or creativity. What matters is that we are all mixing together and helping to push design forwards for the better, to achieve greater things and push our boundaries both personal and as a collective. I am excited to apply the inspirations and knowledge gained from these readings in the future, building upon what I have done already this year. 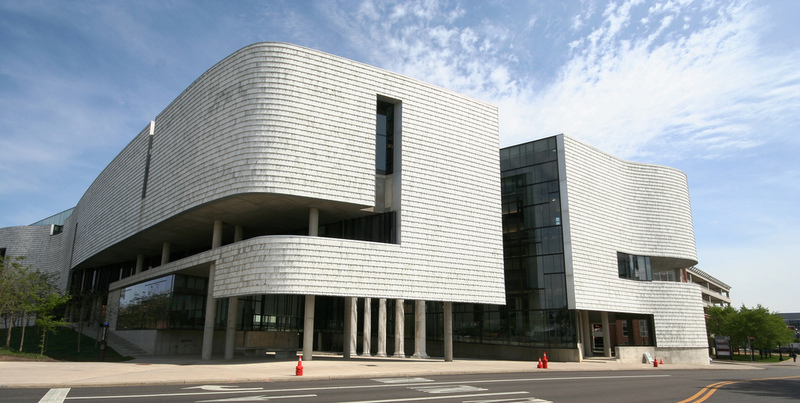 The reading for this week is about the architecture design building for Ohio State University. It is a short story about the design of the building, but what I took most from the reading was how the building responded to the clients. The architects made every effort to ensure that the building functioned as required by the brief, but also to make sure that the spaces were inspiring for the students. I truly believe that they accomplished this. Having looked at the building, it is clear how it would inspire the pupils there. I like very much that they have considered their clients so well and paid so much attention to how to encourage them. This goes further into the architects having to take into consideration the input of a major donor to the project, who insisted on the use of marble cladding. The reading says that the architects were able to offer various alternative suggestions to the marble cladding as that particular direction would not be especially durable. However, they ended up having to follow the donor's request and subsequently came up with a clever and beautifully elegant way of doing so, using tiles of marble which can be replaced individually. What I like about this so much is the commitment to both design and the clients that the architects showed here. At this stage in my education, it is often hard to remember that in the future a project will be very focused on what a client would like, not necessarily so much on what I would like to produce. It is important to remember that a client may have their own set of ideas for what they want and that we can rarely produce any design that we would like. What I have taken the most from with this reading is the importance of remembering who the clients are. This reading has come at a very appropriate time, as my current Design Studio project is to design a school for a specific set of clients. This reading is encouraging in reinforcing the idea of constantly responding to them, and not just my own ideas. The building in this reading is a prime example of how well architects can work to produce astonishing designs when they take the time to consider who the clients are and what they want. I wish to apply such thinking to my own works and will certainly be considering clients and briefs far more in the future. Hart, S. (2002). At Ohio State University, Mack Scogin Merrill Elam's new Knowlton Hall brings the design process to the larger academic community. McGraw-Hill. This weeks reading focuses on comparing two museum/ gallery layouts/ designs, the Sainsbury Wing and Castlevecchio. In particular the reading looks at specific elements such as perspective, arrangement and routes. All three of these are very useful elements to remember when designing a building with such a purpose as the examples, but they are also elements which require identification within all building typologies. The reading has encouraged me to consider these elements and how I might apply them myself. For example, the use of perspective plays hand in hand with one of my favourite aspects of architecture, light. I have had a fascination with light and the way that it works for a long time and perspective can combine to make intriguing use with it. The power of perspective can shift the whole atmosphere of a room. It can encourage people into a place, or push people away. However it can also be used from an artistic approach too. I enjoy the use of perspective very much and it is an idea which I would be willing to allow influence my own designs, so long as the purpose is fitting. I do not want the perspective element to be used as a gimmick. I would like to use it lure the eye to places and encourage the users of the space to go in certain directions to investigate and explore. This leads me on routes. The two example builds have very differing approaches to how visitors should explore the spaces, essentially representing the extremes of either open spaces to meander through, of closed corridors to direct you. I believe there are definite arguments supporting both sides of this and the reading has only reinforced that. However I don't think that there is a set winner. There is not an ultimate answer that fits every situation. This is often the case with architecture. Different buildings with different sites and designed for different reasons will require different approaches. The atmosphere and intent of the design will hold a lot of influence in how people are encouraged to interact with the spaces. As architects, it is up to us to decide on how is best to emphasise this. Finally, arrangement. Of course these examples make use of arrangement in a different way to most typologies in that the artwork being displayed is there for the purpose of being viewed. The reason for the museum/ gallery is to encourage people to view the works and take it all in. However, I believe that such approaches as are used in galleries can be applied to even a normal house. Arranging furniture, rooms and structural elements can be key in creating an effective space which achieves its goals. Combining all three of these elements together creates a powerful set of ideas to follow when designing. Of course these are only three aspects of a much larger picture, but they set some clear guidelines and encourage some admirable approaches to follow in my own work. Tzortzi, K. (2004). Building and exhibition layout: Sainsbury Wing compared with Castlevecchio. Cambridge University Press. On concrete materiality in architecture. The reading this week comes from a text investigating materiality within architectural design, specifically concrete. This leads on suitably from the previous reading in which Felix Candela's concrete shells were the focus. In this reading, a particular idea stood out to me. This idea was that a material should be treated as what it is and not be made to look like something which it is not. The materials should also be applied in the appropriate manners. For example, wood should be used in a way which is fitting to it as a material. Likewise for metal and stone. The point being made was that you should not simply take one set of rules which work for one material and apply them to another. You cannot build with stone in the same way that you can with timber for example. That idea comfortably covered the approach of material individuality within the primary structure of a building. However, whereas some of this may seem obvious (at least now), it was the facade ideas which took hold of me more. Over the course of this year, I have increasingly reflected more upon how materials matter. They are not simply there to achieve a shape or a structure, they can be used to far greater effect that this. Through careful consideration of materials, a whole space can be altered. Materials possess significant power over atmosphere, arguably more so than shape and form in some cases. A good architect will be very clear and specific over exactly what material is used where and in what combinations (if any). Concrete is an ideal example of this, being a very versatile material it is often badly labelled as being responsible for ugly towers of carparks, but it is capable of so much more. It is simply that the car parks have used the concrete in one way, and that Peter Zumthor's Bruder Klaus Field Chapel uses it in another. I use the example by Peter Zumthor as a potential like of contrast and controversy. I say this because the resulting building that has come from the clever design largely contradicts the aforementioned approaches to materials appearing only as themselves. The interior of the chapel is cast to resemble the timber that was once inside it (before being burnt away). The end product is a beautiful space and an amazing result. So should materials really display only their own properties? Or should a material as versatile as concrete be allowed to combine with others? Personally I am a very big fan honesty in architecture. I like to see something real, without fake purposes or hidden ulterior motives. I appreciate everything having a true reason for being there. However I do not discard the use of materials in the way that Zumthor has used them in the Chapel. Combinations can be beautiful, so long as there is meaning to provide purpose. Poerschke, U. (2013). On Concrete Materiality In Architecture. Cambridge University Press. Félix Candela. In memorian (1910-1997). From thin concrete shells to the 21st century’s lightweight structures. This weeks reading looks at the works of Felix Candela and his role in the 'Thin Shell Adventure'. Felix Candela was an incredible man with a keen interest in the properties of engineering and its use within artistic expression. In particular, Candela was intrigued by the use thing sheets of concrete being used to form elegant shapes. Some of his most famous works feature hyperbolic paraboloids, very complex shapes which are usually more commonly seen in fabric. Often they are applied through use of tensile structures. However Candela produced these forms from extremely well engineered, thin concrete. Felix Candela's work is very inspirational in it's combination of artistic and engineering approaches. Often in the architecture world, the two disciplines are often seen as enemies. However what Candela proved was that when they work together properly, amazing designs can be produced. I admire his dedication to following his pursuit of this medium. He mastered the concrete shell and revolutionised the power it could hold. Usually, when I consider the use of concrete, I think of it as heavy and cumbersome. I think of large and ugly panels or blocks. However, Candela has changed that, offering a new look at a material which is far more versatile than I have given it credit for in the past. I will be looking further into concrete more as an expressive material than a structural one. I am also impressed by the way that he so rigorously investigated his passion. He began making scale models, even full sized models to explore and investigate what it was he was trying to achieve. Whereas this full size approach is not always possible, the scale models are. As a result of his models, he understood the concrete shells better and better. He then used them to help his designs too, making over 800 concrete shells. These designs were not just replicas of one another either. This dedication to focus returns to what was said in an earlier reading about not trying to achieve too many things at once. Sometimes the best results come from a sole focus and idea or concept. Candela and works are proof of this. I feel further inspired to pursue, investigate and understand the elements of my projects. To understand them could very well allow for spectacular results. Cassinello, P, Schlaich, M and Torroja, J.A. (2010). Félix Candela. In memorian (1910-1997). From thin concrete shells to the 21st century’s lightweight structures. Instituto de Ciencias de la Construcción Eduardo Torroja. Finnish architect Alvar Aalto has been the subject of this reading, looking particularly into his use of wood within design. This reading follows on very interestingly from the previous one, in which modern architecture was conveyed very much as trying to separate itself from the past. Aalto's works on the other hand, take great influence from the past, looking back to historical examples of design and materiality. I have always enjoyed the use of timber in architecture. It is well understood and as such it has become a diverse material with a variety of implementations to offer. However, it takes more than an understanding of how wood works to make it effective. Alvar Aalto has utilised wood to convey more than just physical properties. He uses it provide psychological benefits to his buildings. He creates atmosphere out of the timber that would not be possible through the use of any other material. He referred to wood "as a timeless material with ancient traditions". However, in reference to traditional Finnish timber usage, he says also that he does not use the material for sentimental reasons. The wood becomes a part of a grander scheme of organic approach to design. This is a style which I feel is only emphasised by the use of wood. Taking things further, Aalto is very specific when it comes to timber, being purposely descriptive of his choices for particular types of timber. Wood is a material which can change with time, different types will do so in different ways and this is a key part of the decisions in architectural design. Of course timber can be treated to prevent or slow these changes, but the ways in which timber is chosen and used shows the level of consideration of a building regardless of what outcome results. The have always been a big fan of timber in architecture, be it for structure, facade, or anywhere in between. However I have not always thought about using it in the extents that Aalto has. I love that he creates atmospheres from it and produces organic forms with it. I love that timber can be picked for certain qualities and allowed to alter over time. On a recent trip to Hill Holt Wood, we learned a lot about the different types of wood and how they are useful for different purposes. This reading has not only resulted in me reflecting on itself, but also on that trip. I will, without doubt, be pushing the use timber in my designs, perhaps even searching for a combination or equilibrium with the aforementioned Hi-Tech approaches. Contrast can be a beautiful thing after all. Isohauta, T. (2013). The diversity of timber in Alvar Aalto's architecture: forests, shelter and safety. Cambridge University Press. Reading 15 comes in the form of a BBC 4 documentary video about how modern architecture was formed and perceived, as well as how it progressed. It places a lot of intent on the people who brought it to life and the different ways that it was approached by them. In particular, it focuses a lot on Norman Foster, Richard Rogers and Terry Farrell who were just a few names fighting in a competitive progression of architecture. I took a lot from this reading, with there being lots of inspirational approaches to works being shown. I was captured by the buildings being shown, but also by the differences between them. The documentary explored several movements, particularly though it looked at Post Modern and Hi-Tech architecture. Both of these styles existed in the time frame, but approached architecture in radically different ways. These two styles are examples that I have not been especially knowledgable in the past. Neither of them were especially well known to me. In the recent past though I have started developing opinions on them both, and in watching this video I have further solidified these opinions. Immediately after seeing the examples of Post Modern architecture I was put off by them. They are quirky in nature and of this I approve. However they feel very dated. They were appreciative of context which I am very pleased to see but I could not help the feeling of the buildings being more art than architecture. Further than this the buildings seemed trapped in their time frame. It is not a style which I could confidently design in for the modern day, nor do I feel there is much to influence myself. Hi-Tech on the other hand is the exact opposite of Post Modernism. From the moment it was born it was shunned by many. However the architects who stuck with it have created masterpieces. Hi-Tech is now a renowned style that the world simply wasn't ready for to begin with. It was a look into the future, a future which has now arrived. I cannot say in honesty that I like all of the Hi-Tech architecture, at least not all aspects and examples of it. However there is a lot to be taken from it. In my own work, my current design studio project for example, I am now already beginning to consider options directly influenced by the H-Tech works I saw in this video. I like very much the honesty of the buildings, and more importantly the way that they put the users of the building at the heart of it. Everything was arranged to ensure that the spaces would not be interrupted, to try and create the best place to be in as possible. The inside out approach is a remarkably bold one, and may be something I play with in my own designs very heavily, particularly in showing honesty in the architecture. The Brits who Built the Modern World, [television programme, online], Prod. credit n.k., Prod. company n.k., Prod. country n.k., 02:35 21/2/2014, BBC FOUR, 60mins. http://bobnational.net/record/201388, (Accessed 28/04/2015). The reading for this week is an interview of Bernard Tschumi in regards to his views on transgression in architecture. It immediately brought up the idea of iconic architecture and further went on to explain the potential factions of architects within current day thinking. This felt very appropriate as a follow on from my reflection in the previous post in regards to iconic architecture leading to potential social impact and change. The interview suggests two factions. One of them is conservative architects, who are seen as presenting the worst fears of society. The other consists of revolutionary architects, who attempt to produce the ideals of society. This is an interesting link to the previous post in which I reflected about how iconic architecture may be seen as either selfish and set apart from it's context, or whether it is capable of more social responsibility. This reading was about transgression though, not icons. Although there are links to be had between the two. The point behind the subject of transgression in architecture is that once upon a time, functions would not cross. It would have been considered highly unusual to mix purposes. However, we now live amongst buildings which have multiple purposes. It is not strange to see a building house shops, a cinema, a theatre and accommodation all in one go. Yet that would have been considered a transgression in the past. I think that this idea is interesting. There is a lot to be said for an architect who can successfully combine multiple purposes into one design. However, it begs the question of whether it is really necessary, even appropriate. Sometimes a piece of architecture must be more focused in order to succeed as a true work of art. Trying to achieve too much can dilute a project into generic or unneeded results. This is something to consider when designing. What is the reason behind the project? What is the purpose? This begins to further push the ideas of what architecture is. If a design is being made to accommodate all of these functions, does it just become a building? A place to hold other places? If a design has a focus, a core belief and a reason for existing then it can become more. It can be the tailored example of exceptional embodiment for the purpose it is derived from. That is what architecture should be in my opinion, an experience, a response. Mosley, J and Sara, R. (2013). Architecture and transgression: an interview with Bernard Tschumi. Wiley. Reading 13 comes in the form of a transcribed debate between Charles Jencks and Rem Koolhaas. The two have known each other for a long time, discussing ideas since the 1960's. This particular debate comes from the 28th of December 2009 and talks about Post Modernism as a core focus. They also discuss iconic architecture, and the inclusion of content. It was interesting to read the thoughts and ideas of two largely well known names such as Jecks and Koolhaas. They share a working understanding of another's works and approaches, but their resulting pieces are greatly different. This could be evidenced in the text also, where many times Koolhaas would object or disagree with Jencks and the questions that were being asked. This is what interested me the most. The disagreement. It would have been perfectly expected and understandable for two people who have known each other for years to agree on topics such as the current works of one another. However, they both seemed to have differing opinions on many of the subjects which arose. An interesting section was that in regards to iconic architecture. Koolhaas is arguably an addition to this style of building, making grand gestures of architecture, but they both had very similar views on the subject. Koolhaas did explain that often an architect is almost obliged to produce iconic architecture though, as this is what the clients want. I agree with this view. Reflecting on the idea of iconic architecture leads to potentially context-ignoring buildings like those of Frank Gehry and Zaha Hadid. These architects have received plenty of criticism for creating works which do not fit in with their context, instead producing something more like a signature of their own which could be moved around the world and not lose any connection. This may very well be the case sometimes, I'm by no means arguing with that point right now. What I am considering though is that these architects are chosen because the clients are after their signature. The Bilbao Effect is commonly referred to in regards to iconic architecture. Gehry's Bilbao Guggenheim was so successful at attracting people to it that it transformed Bilbao as a destination. Clients choose iconic architects because their buildings are capable of producing this effect. People will travel to see a futuristic, alien Hadid building because it is so different. In turn this generates fantastic opportunities for the people living in the area. It is through this point that my reflection has led me to the consideration of something new. Iconic architecture, and subsequently the architects who design it, is often thought of as selfish. However, having been reviewing me own essay on the Constructivist movement and the ideas behind it, I have formed a new opinion of iconic architecture. I believe that maybe there is more to it than being selfish. People travel to see these works, they generate prosperity in the areas they're built in. So how can this style be selfish? Surely it is the opposite. Iconic architecture has the ability to bring about social change, a new sense of pride for an area and encourage the people living around it. This is social architecture. It is a response. It is the recognition of an architect's signature as being capable of generating something more than a building. Jencks, C and Koolhaas, R. (2011). Radical Post Modernism and Content. Wiley. This weeks reading comes in a different format to usual, a website. Pruitt-Igoe was remarkably flawed and is known for its lack of success. The website, Pruitt-Igoe Now, explains the history of it and follows the competition which it set up in order to reimagine the site. The majority of this website is focused on the redevelopment, or rather 'rebirth' of Pruitt-Igoe. The original spiralled out of control from poor planning, resulting in it becoming run down, vandalised, and robbed. The resulting demolitions left the possibility of a reimagining for the site, but no such thing has happened. Instead it has been left. The Pruitt Igoe Now website showcases projects submitted to finally realise the rebirth of the site. Whilst I was looking at the proposed projects, I noticed that a lot of them focused on agriculture and nature, but although the brief says to do something bold and to focus on a specific element of Pruitt-Igoe to take forward, I did not feel that a lot of the proposed ideas were actually that bold. Baring in mind that the competition did not demand a complete architectural solution, drawn up technically or ready for building, and that any designer from any discipline could enter it, there was a surprising lack of variation. However, two proposals have struck my interest, both of which completely strayed from the obvious. The first, entitled 'A Double Moon For Pruitt-Igoe' had the fairly simple but completely different idea of giving the site a giant, glowing moon for the residents of St. Louis. During the day it would be an auditorium, but by night it would glow and provide something beautiful for people the world over to see. Pruitt-Igoe has become internationally famous, so why not bring something which is known the world over to Pruitt-Igoe? Its own Moon. The second proposal which caught my interest was 'Forecast'. This very interesting proposal told a story. It imagined what cold happen in a completely different projection of the future. I shall not explain the story myself as I feel that it is best seen through the video made for the proposal here: "vimeo.com", however I did find it very interesting and absorbing to watch and follow what the proposal suggested the site could become. Forecast is suggesting that the site is potentially very diverse, it could follow any number of paths and is capable of changing through its life to serve any purpose. This is key to me. They suggest that the site will always be known as the 'Pruitt-Igoe site' and why try and hide this? It has become a part of history. But adapt it to become a hero for every context it is faced with, let it adapt to help people and give back to a community that it let down so badly to begin with. I am pleased to know that competitions like this exist. Instead of just demolishing the past and trying forget about it by placing new housing developments over it all, ideas for something responsive and contextually appropriate are being suggested and I believe that this is what the world needs more of.